Tuzigoot Red Olla, Tuzigoot National Monument. Click the image to open the Tuzigoot Red gallery. 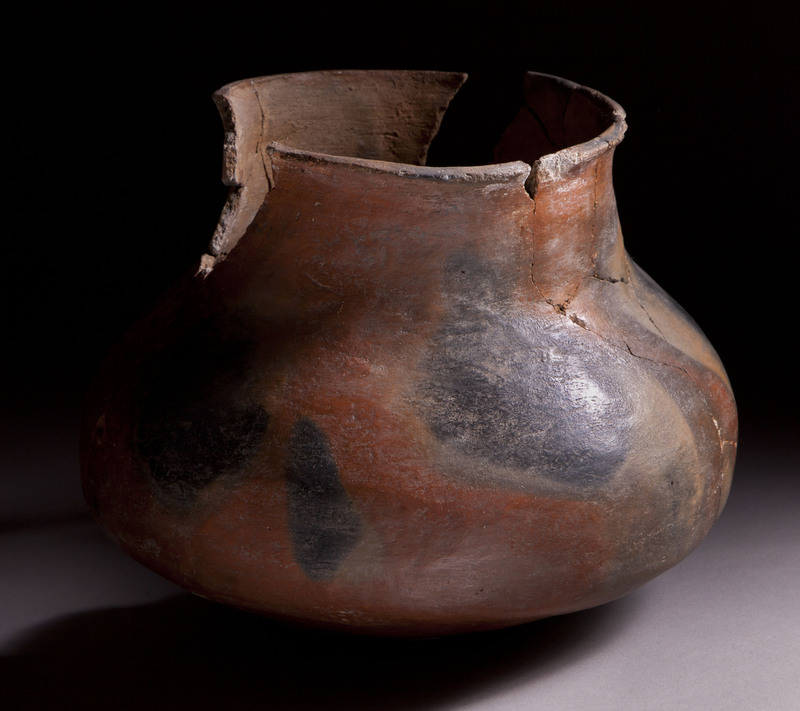 Tuzigoot Red is an Alameda Brown Ware type generally found in the Verde Valley, Arizona. Firing: In an oxidizing atmosphere; fire clouds frequent. Core Color: Reddish, pinkish, or yellow-buff. Temper: Medium fine quartz or feldspar sands, opaque angular fragments (reddish, tan, gray, or black), and occasional micaceous particles. Surface Finish: Smoothed; often compacted and polished; often smudged; sometimes gritty, with horizontal scraping marks visible but not conspicuous; jars sometimes have a thin slip on the exterior surface; jar interiors are not smoothed and have conspicuous anvil and scraping marks. Surface Color: Brick-red to black; jar exteriors brown or brick-red; jar interiors purplish, tan, or reddish. Forms: Jars and bowls; jars frequently have a Gila shoulder. Vessel Thickness: 3.2 to 8 mm. Comparisons: The temper of Turkey Hill Red is predominately opaque angular fragments with very little quartz sand, the core texture is usually coarse, and the vessel walls average thicker. Bowl interiors are almost always smudged and well-polished. Verde Red has very abundant medium to coarse quartz temper. Colton, Harold. (1958) Pottery Types of the Southwest. Museum of Northern Arizona Ceramic Series No. 3D. Flagstaff, Arizona. Jackson, Earl, and Sallie Pierce van Valkenburgh. (1954) Montezuma Castle Archeology, Part 1: Excavations. 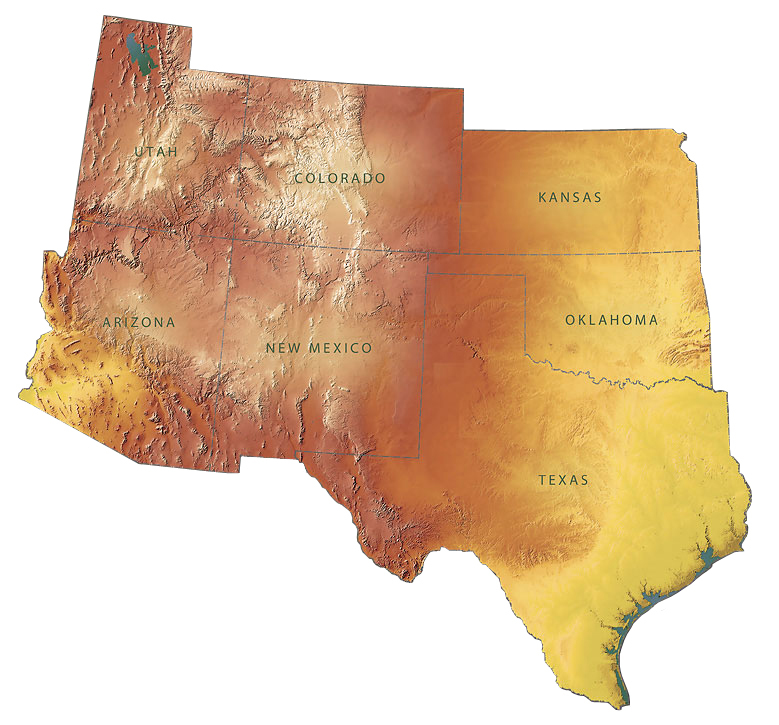 Southwestern Monuments Association Technical Series Vol. 3, No. 1. Gila Pueblo, Globe.